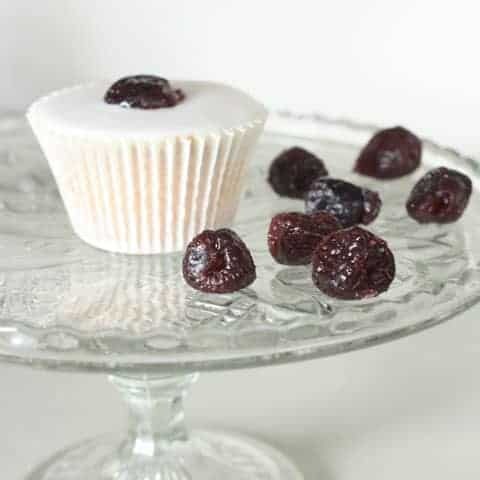 These Homemade Glacé Cherries are a labour of love but once you taste the difference between these and the pillar box red variety you can get in the supermarket then you won’t look back. If there is one member of the household who is thrilled that our kitchen is constantly filled these days with blackberries, damsons, crab apples and cherries it’s Wesley. I have spoken before about his obsession with pears but his fruit addiction is now getting out of control. I can’t turn my back on a bowl of freshly picked fruit without piquing his interest and five minutes later finding him batting them all over the kitchen floor. Yesterday, after a bounteous yield of crab apples was happily soaking up the sun streaming in from the window, I was called into the kitchen by the sound of an energetic animal bouncing something around on the tiles which never spells goods news. I walked in to find Billy Buddy enthusiastically chasing round a poor crab apple. How did he get hold of that, there’s no way the puppy can get anywhere near our kitchen counter? I looked round the corner to see Wesley looking on forlornly as his hard worn apple had been rudely swiped by the puppy. He learnt the hard way that it’s not nice when someone else steals your fruit. Unfortunately for Wesley his fruit supply is about to be cut short. From this week all furry little creatures are being banned from any food preparation areas, which is a sad little side effect of now opening my kitchen up as a business. I will feel very nostalgic for the days when my steadfast kitchen companion is fast asleep stretched across the full length of my counter as I’m in full on baking mode, flour and sugar flying across him blissfully unaware. I will especially miss the times when I am chopping onions in his vicinity and his eyes start blinking, full of confusion as to why they are now pouring with water. I am ashamed to say this is something that will never fail to make me laugh, as well as the time that he pounced up on the side as I was juicing some lemons. A cat with lemon juice in his eye produces a very sour look. Thank goodness then that I just about managed to ward Wesley off these glacé cherries during the entire length of this candying process. These cherries, like Monday’s salt beef have been a bit of a labour of love. I started them weeks ago and only now are they finally ready to be presented to the world, having ascended from a lovely healthy fruit to pretty much just sugar. I have been really keen to make glacé cherries for some time now as I always thought the cherriness of the commercially made versions was somehow lost in the candying. These homemade glacé cherries are a world away from anything you might have had before, they don’t have the brilliant postbox red colour but instead command an alluring burgundy. Their texture is also much more dense and fudgey; I can imagine them being the secret ingredient of the world’s best brownie. The amount of cherries I’ve suggested in the recipe below is completely at mercy as to how many cherries you actually have. 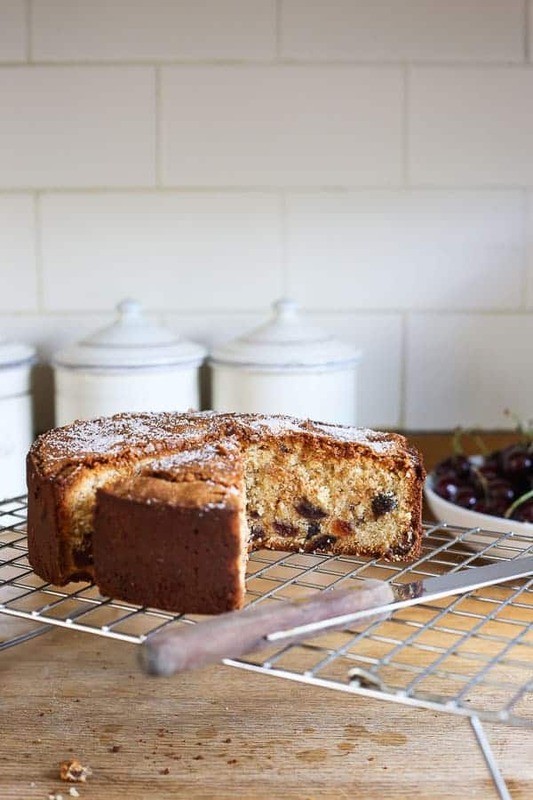 If you are gathering cherries specifically for this recipe then 450g is the best place to start but this recipe is easy to scale up. The more cherries you have the further they will go. 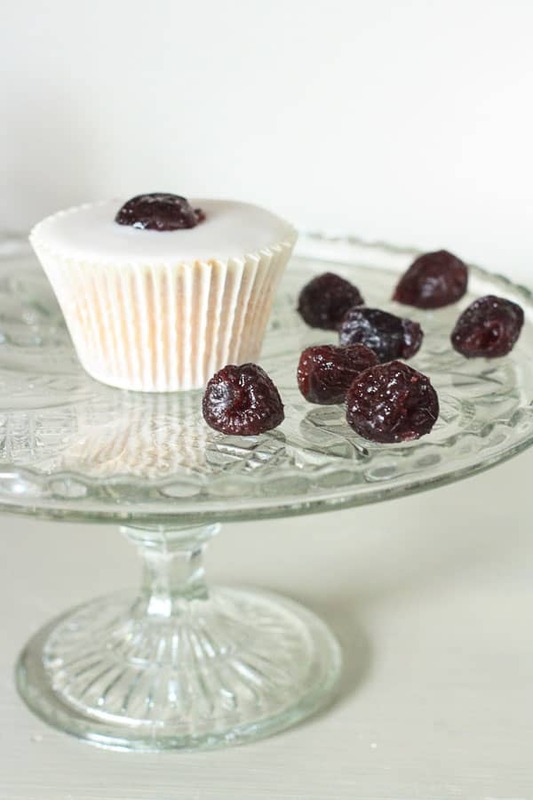 They are especially wonderful in this Gluten-Free Cherry Cake but if you only have a few then feel free to sequester them away from snack venturing fingers and save for only the most reverential of cocktails, the most exquisite of cupcakes and to adorn only the most luxurious trifle. Although I often get into the habit of being a bit too precious about them, the last thing I want is to save them and save them until they are spoilt and no longer as prizeworthy as they currently are. One thing I know for certain, they are nowhere near any sneaky little cream coloured paws. Place the cherries in a large pan with the boiling water and cook until the fruit is just tender. Drain the cherries but reserve 425ml of the liquid. Put the cherries into a heatproof bowl. Pour the liquid back into the saucepan with 250g of the sugar. Stir over a gentle heat to dissolve the sugar and bring to a boil. Turn off the heat and pour the syrup over the cherries. Cover the bowl and leave to soak for 24 hours. Strain the syrup into a large saucepan and return the fruit to the bowl. Add 60g of sugar to the saucepan. Bring to a boil, then turn down to simmer for a couple of minutes making sure the sugar has completely dissolved. Pour the syrup back over the cherries, cover and leave for another 24 hours. Times are a-changing. Strain the syrup into a large saucepan but this time add 85g of the sugar into the saucepan. Cook over a gentle heat until the sugar has dissolved then add the cherries and bring to a boil. Turn down to a simmer for 3 minutes, then pour the fruit and syrup back into the heatproof bowl, cover and leave to stand for 2 days. Repeat Day 8, but only add the remaining 55g sugar and then leaving for 4 days. The syrup should have now turned very thick and heavy, if not, repeat Day 10. Otherwise, drain the fruit, place on a wire rack and leave in a warm dry place until no longer sticky. They should be ready after a couple of days. After you have congratulated yourself on making the finest Homemade Glacé Cherries you may find yourself looking at a nice little jug of leftover cherry syrup. 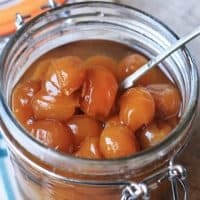 I don’t like delicious by products like this going to waste so I’ve put together a little guide of the best uses for your cherry syrup. So basically the gifts from this recipe are endless. 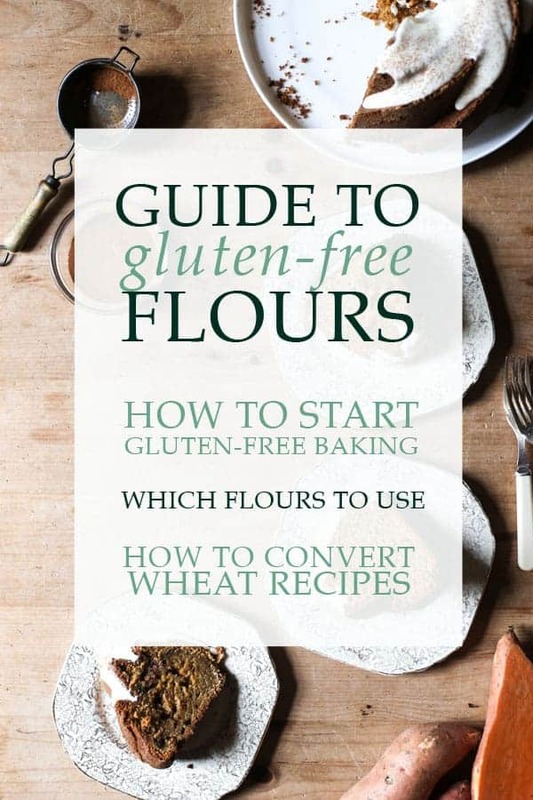 If you would like a free copy of this guide then just click the link below! Are they pitted first, or do you cook them with the pits? Will sour cherries work? I’m a bit over-run with Carmine Jewel cherries from my back yard tree at the moment. Hi Rhoda, yes you pit them at the beginning and then cook them without the pits. Sour cherries will definitely work, obviously it will be a different flavour profile but they will be amazing! 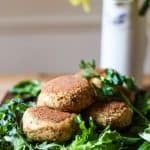 Hi Georgina, these look amazing and I look forward to trying this recipe. I’m wondering how long the glace cherries would keep? 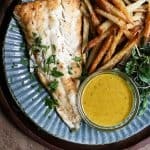 Hi Annelise, I recently updated the format of this recipe and unfortunately lost all the comments on this topic. However, if stored correctly in sterilised jars the cherries should keep for up to 6 months or maybe even longer. One of the commenters suggested that the cherries should dry naturally after you have completed day 14 at room temperature in a sterile environment for about 10 days (a not switched on oven is perfect) then sterilise a couple of jars to store your cherries in until they are needed. Hello Georgina. This looked so fun that I decided to go for it! And they will be great for the Christmas fruitcake I want to make this month. 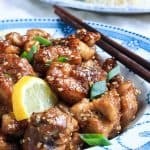 I just completed the first day of this recipe. I wanted to make a lot so I’ll have some to give away so i quadrupled the recipe. My question is: while they are soaking for 24 hours should they be in the refrigerator? My thought is that the cold may slow down the absorption of the sugar and that the sugar itself would be enough to keep them preserved at room temperature. Do you agree? Hi Ian, that’s great – I bet they will be very well received! Yes, I completely agree, I don’t bother about refrigerating the cherries whilst they are soaking. If they are just left in a cool part of the kitchen then they will be grand. Good luck! Hello Georgina, I just made these cherries and they are delicious! Thanks so much for your clear instructions. I added some of the leftover liquid to the pan juices from lamb chops then poured the deliciously sticky sauce over the chops. Wow! 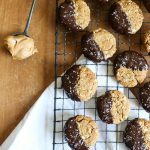 They tasted terrific, and got rave reviews from the family! I just bought more cherries to make another batch. Can I use the liquid leftover from the first batch or should I start from scratch? Thanks. Hi Lesley, that’s great! You could use the liquid leftover from the first batch but I always like to start afresh. There are so many uses for the leftover cherry syrup that I think it is a bit of a bonus at the end of the recipe. 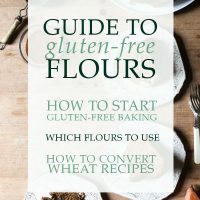 Take a look at my download which you can access beneath the recipe which gives some more ideas how you can use the syrup. Although poured over lamb chops seems like an amazing idea!! I love your blog and have been very excited to try this. I have just done Day 7 and as it cools the syrup seems to be solidifying into a giant boiled sweet. It’s not rock solid, rather it’s a bit pliable. Help! Is there anything I can do to rescue it? Hi Maria, I’m not sure why that would have happened. Maybe the temperature of your kitchen is affecting the syrup. The soaking cherries need to be kept somewhere cool and dry. Hopefully you can still strain the cherries out. The good news is that on Day 8 you change the syrup anyway by adding more sugar and heating it back up so that should make the syrup more liquidy. If your cherries are stuck in the syrup then heat up the whole thing and fish the cherries out as soon as they become loose and then carry on with the instructions of Day 8. That sounds a lovely idea. You could add the brandy at whatever stage you wanted. You could use brandy instead of the boiling water in step 1 so that the brandy permeates throughout. Or you could just add a few tablespoons of brandy on day 8 and day 10 whilst you are boiling the syrup with the sugar. The brandy should be very easy to incorporate and quite flexible however you choose to use it. Whatever you do, you must not waste that cherry brandy syrup at the end though which would be amazing!! 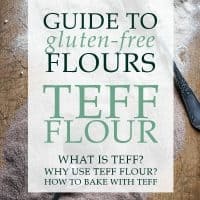 Let me know if you do give it a go and how your trifle turns out! I did something similar to what Fluffy was wondering about. i used these cherries for my Christmas fruitcake and used the cherry syrup + rum, port, and bourbon to baste my cakes. I just got a text from my brother that this was the best fruitcake ever. And you are right, Georgina, there is no comparison to the storebougt fake fruitcake fruit and homemade glaced cherries. 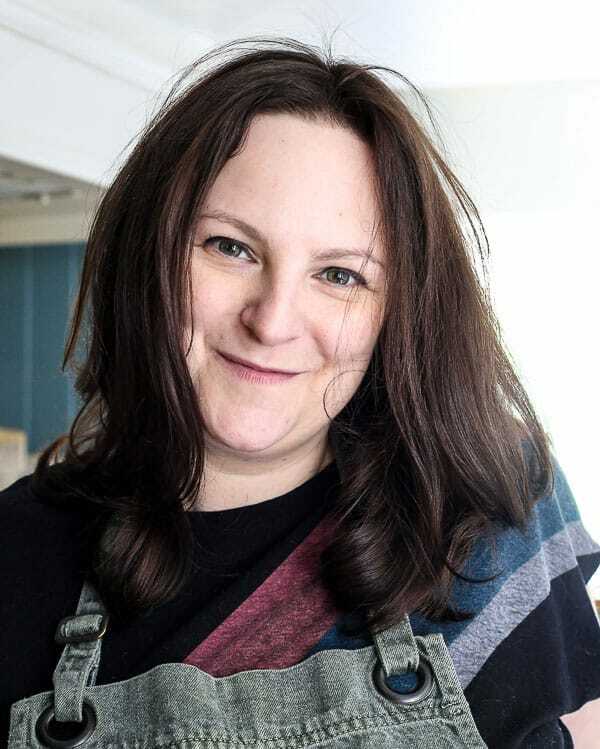 I love the idea of using the leftover syrup to baste the cakes Sounds wonderful Christen!! And what is the best why to stored them? ?……..I need to make about 40kg!! Hi Maree – oh my goodness, 40kg!! In order to make the cherries last as long as possible then you really need to dry them naturally at the end of Step 14 in a sterile environment for about 10 days, previous commentators have suggested a not switched on oven, although that might be difficult with 40kg. Then after they are completely dried I store mine is sterilised jars. That way they will last quite a long time (maybe up to 6 months), although I always try to use mine up within about two months. Yes, you can use any cherries for this recipe, they will be amazing! Hi I have a lot of sweet Bing and Rainier Cherries ,is it okay to use these to make maraschino cherries? Thanks! I have been trying to perfect a maraschino cherry recipe for a couple years and this is exactly the post I needed. Made tons last year and kept them in jars with the syrup (I added some maraschino cherry liquor and almond extract at the end) and they are still awesome. Excited for another cherry season! Thank you for this recipe! That’s great Joanna! I know, I’m excited about cherry season too!! 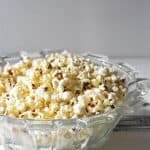 Can I use unrefined sugar or does it have to be white granulated? Hello from Los Angeles! Since it is currently December, I’m experimenting making these using frozen cherries. It will be interesting to see how these turn out. BTW…love your blog! Hi Cathy, let me know how you get on with them! And thank you!! Well, today is January 1st, and the cherries are finished. Finally! They came out beautifully, and because I used frozen pitted whole cherries I was able to skip the initial boiling of the fruit, and simply covered the thawed fruit with the simple syrup. From there I followed the instructions to a “T”. I wish I was able to post photos here, but alas… I can, however steer you to Instagram, where I did post photos of the finished cherries. Thank you for helping me learn this wonderful new skill! They look great!! You are most welcome!